Wearing a saree is an all-time thing. You have worn it to the work, for your wedding and housewarming ceremony! Why should you be parting ways with your favourite outfit especially when you are about to experience the most joyous phase of your life-motherhood! Having said that, wearing a saree during the trimester or later isn’t an easy task. The protruding belly poses a challenge for drawstring petticoat. Many women out there hesitate to wear a saree because of the stretch marks. But we say, nothing should stop you from feeling stylish and cosy! So, follow these steps and don’t give up on saree especially when you are glowing inside out! Heavy silk sarees with zari embroidery and embellishment can be really tricky during pregnancy. Hence, choose lighter fabrics such as chiffon, georgette, linen and cotton. Mysore silk sarees with minimal border and pallu work can also be a part of your maternity wardrobe. Since you may need or want to wear a saree at different trimesters, staying cosy should be the ultimate criteria you should be looking for while wearing a saree. A broad border saree can make you look bulkier and puffy that you already are. There is nothing wrong with wanting a flattering silhouette after all! Wearing all those layers bang on the protruding belly even sounds so painful. Hence, levelling is the key. You can drape a saree lower or else, above it. A saree lower than the belly isn’t a work-appropriate choice however, you can pull it off with a different saree draping style. A drawstring petticoat can be uncomfortable at this time. 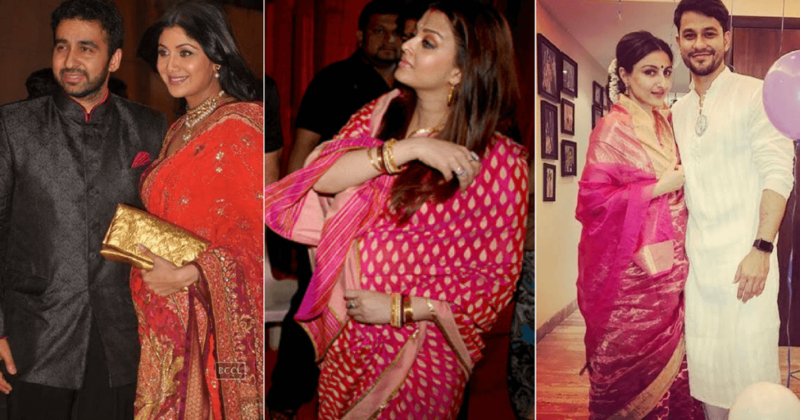 This is why it is time to switch to newer and better versions of saree draping styles! A dhoti-style saree or a saree with a palazzo pant or a skinny legging can keep you comfortable and stylish! You can also consider choosing a belly belt for a better fit and super-comfort! Unlike traditional saree blouse, a jacket blouse can cover the belly and make you feel comfortable without exposing much skin – if you are concerned about it. A blouse that is a bit easy on the waist or covers you well and is stylish too – should be on your priority list! You can choose to cover yourself with a pallu like a shawl. 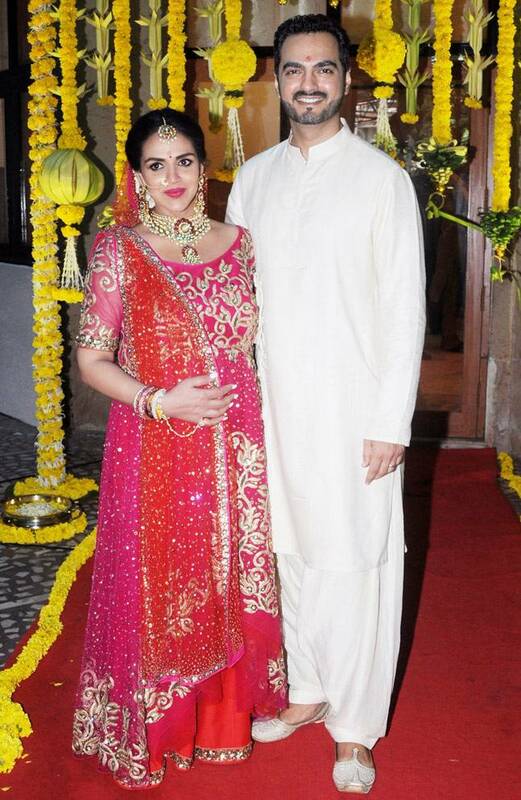 Or wear a Gujarati-style saree to cover the baby bump and still look as stylish. This tip comes in handy when you don’t want the unnecessary poking and moral policing about the baby or skin show. 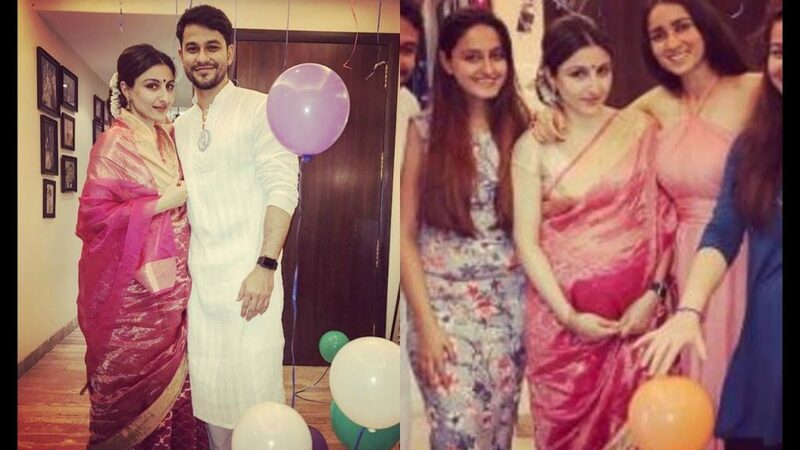 A saree can be worn through the first to fourth trimester. It might not be seen as a maternity outfit per se, but it can keep you as cosy and stylish! 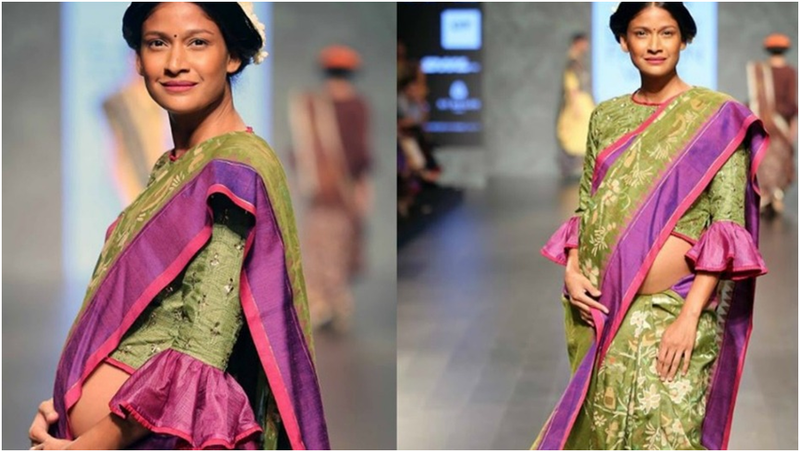 Comfort might be the main aspect of maternity wear, but sometimes, women don’t just want to skimp on the style! Keep these key points in mind and feel every bit the stylish diva you are!